The leaves, and seeds of the periwinkle contain vincamine, a precursor to the chemical vinpocetine, which is used medicinally to naturally enhance memory in aging minds.1,2 Vincamine is sold as a chemical extract in supplement form, however herbalists prefer the whole herb be used in either extract or tea form. 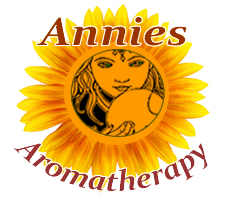 By using the whole herb you receive the balanced blend of healing chemicals found naturally occurring in the plant. Other folk medicine uses include Diabetes, cough medicine, and as a styptic to stop bleeding. The flowers of the garden periwinkle are the inspiration of the lavender blue color name periwinkle, and this viny shrub is a popular and attractive ground cover with numerous cultivars,flower colours and variegated foliage. Periwinkle has been used in the tradition medicine of many cultures and peoples worldwide including Europe, China, India and the Pacific and Caribbean Islands. In the Caribbean, practitioners of voodoo magic sew Periwinkle leaves into the mattress to keep husband and wife forever in love, and the home peaceful. They are sometimes mixed with magnolia leaves, which also have a reputation of promoting faithfulness in love. 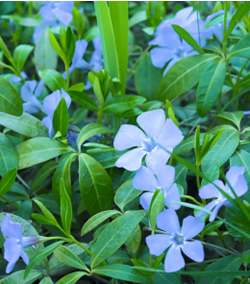 The blue flowers of periwinkle are symbolic of spiritual peace and harmony. Catherine Yronwode Hoodoo Herb and Root Magic: A Materia Magica of African-American Conjure, and Traditional Formulary (2002). Venus owns this herb, and saith, That the leaves eaten by man and wife together, cause love between them. 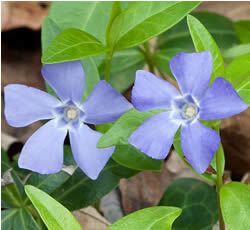 The Periwinkle is a great binder, stays bleeding both at mouth and nose, if some of the leaves be chewed. The French used it to stay women's courses. Dioscorides, Galen, and Ægineta, commend it against the lasks and fluxes of the belly to be drank in wine.